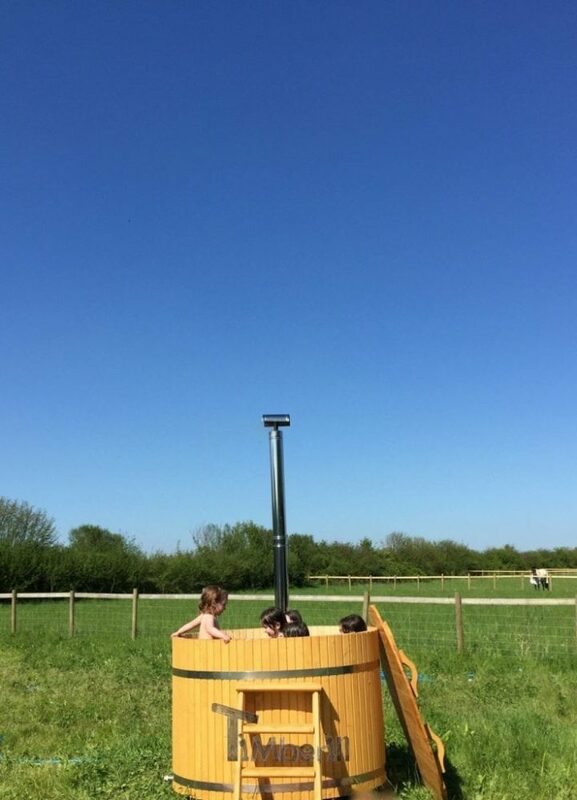 ﻿ Wooden hot tub for 2 persons, Ali, Dorset, U.K. Wooden hot tub for 2 persons, Ali, Dorset, U.K. Thank you so much for the hot tub, it arrived exactly on time with a charming delivery driver. It is just perfect, very well made and beautifully finished. Could not be happier with your great product, I would recommend anyone to have confidence in buying from you. I attach a picture of our first guests enjoying the tub.